Check out ASKcRc.org for kashruth information on many types of products. 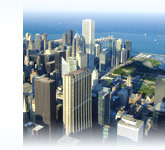 Contact information for establishments in the Chicago Jewish community. A great reference for resident and tourist alike! A guide pinpointing issues and promoting awareness tohelp our Kohanim maintain their sanctity.